Ebenezer Cottage01263 715779work01603 870304fax Self-cateringThis well-maintained cottage provides comfortable accommodation and has a beautiful rear garden. With a welcoming atmosphere, guests will enjoy returning to this lovely property after a day out on the beach, only three miles away. There is a good selection of restaurants and pubs as well as fantastic inland and coastal walks to explore with your friends and family. • Other: Towels and stairgate provided. Travel cot. Note: 10% discount for two people in A B and C Bands. 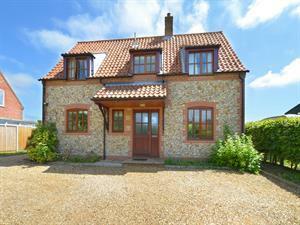 This well-maintained cottage provides comfortable accommodation and has a beautiful rear garden. With a welcoming atmosphere, guests will enjoy returning to this lovely property after a day out on the beach, only three miles away. There is a good selection of restaurants and pubs as well as fantastic inland and coastal walks to explore with your friends and family.